M+B Los Angeles is pleased to present 21-year-old photographer Mike Brodie. Recently a major cover feature in Look Look magazine, the Pensacola, Florida native has documented his friends and companions while traveling along the American railways for the last three years. In true Kerouac fashion, his own "On the Road" serves as a photo narrative of those he meets and stays with along the way. Born in Arizona, but spending most of his childhood in Pensacola, Brodie left home at eighteen to travel around America via the railways and soon found himself photographing the variety of people he came in contact with. Realizing that photographing was his true desire, in 2005, Brodie bought himself a Polaroid SX70 and as much Time Zero film as he could find. Armed with a camera and the spirit of youth, his desire to tell the story of his travels has led him to the crevices and cracks of riverbeds bled dry by the heat of a backwoods encampment, into the wizened gaze of a youthful squatter and those things that have been broken down, left by the side of the road and forgotten. His current exhibition features the culmination of his work during the course of 2005. The subject and composition unexpectedly reveal the natural harmony within each image. Citing Mary Ellen Mark as a source of inspiration, Brodie integrates a rawness and authenticity within each photograph, revealing the beauty and poetry of his sitters and locales. Brodie's planned, yet candid, images capture the purity and the intensity of each moment, and his work becomes more than a documentation, but a poetic narrative of the travels, trials and the lives of some of America's most overlooked people. Artists, poets, families, train-hoppers, farmers and outsiders tell their stories in a single frame. The characters and landscapes that he captures summon the spirits of Jim Goldberg's well-known book Raised by Wolves . These are images captured by a member of the tribe, through a sympathetic lens, a magnifying glass to examine the truth of a dead cat on the side of the road, the littered earth, bound by tones of dirt and bone. 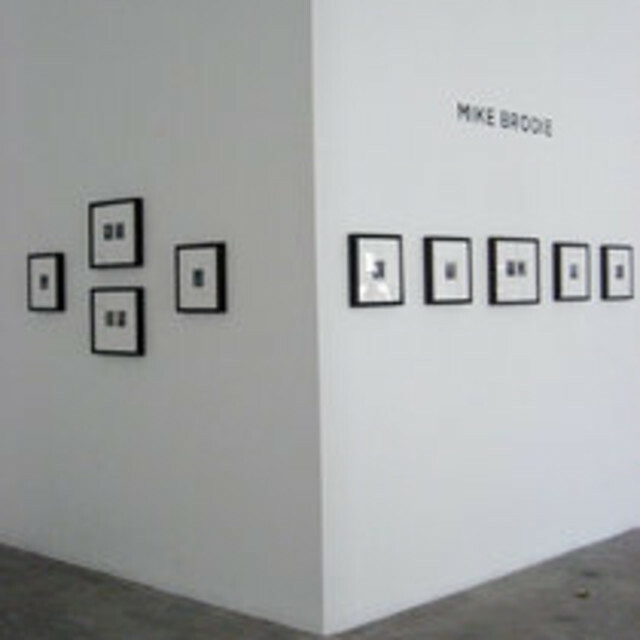 After the debut exhibit at M+B, Brodie's work will premier in Europe at Paris Photo 2006, held at the Louvre. Following that, the work will travel to Bonni Benrubi Gallery in New York City for an exhibition in early of 2007.